February 20, 2015 - Southern Air Holdings, Inc. announced on Wednesday that its affiliate, Worldwide Air Logistics Group, Inc. (“Worldwide”), will expand and diversify its ACMI (Aircraft, Crew, Maintenance and Insurance) and CMI (Crew, Maintenance and Insurance) air cargo service offerings through the acquisition of new fleet platforms, expanded markets and growth of existing operations. Southern Air Inc. (“Southern Air”), a critical and growing provider of airlift services for DHL Express and other customers, will continue its operations as a subsidiary of Worldwide. Southern Air’s headquarters will remain in Florence, Kentucky. 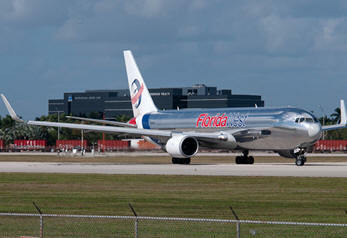 As part of its efforts to expand service capacity, Worldwide also announced its agreement to acquire Florida West International Airways, Inc., (“Florida West”) a leading provider of 767-300 ACMI air cargo services. Florida West operates scheduled and charter services, primarily in Latin America, the Caribbean and the U.S. for its primary customer LAN Cargo. Florida West is based in Miami, Florida, where its headquarters will remain. Worldwide’s acquisition of Florida West is subject to regulatory approval. Southern Air and Florida West will remain separate air carrier operating companies. Each carrier will continue to deliver on a standalone basis the outstanding performance.